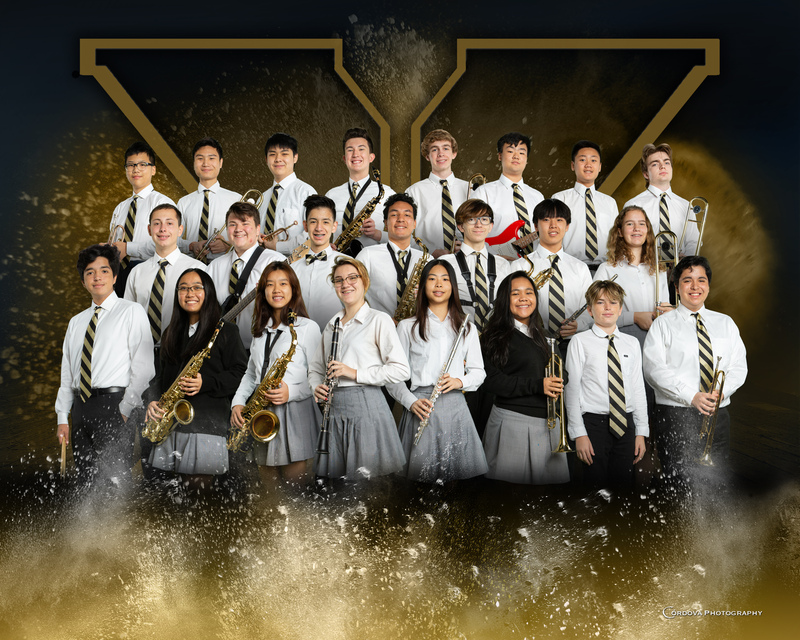 Xavier has four outstanding growing music programs as part of their academic curriculum. 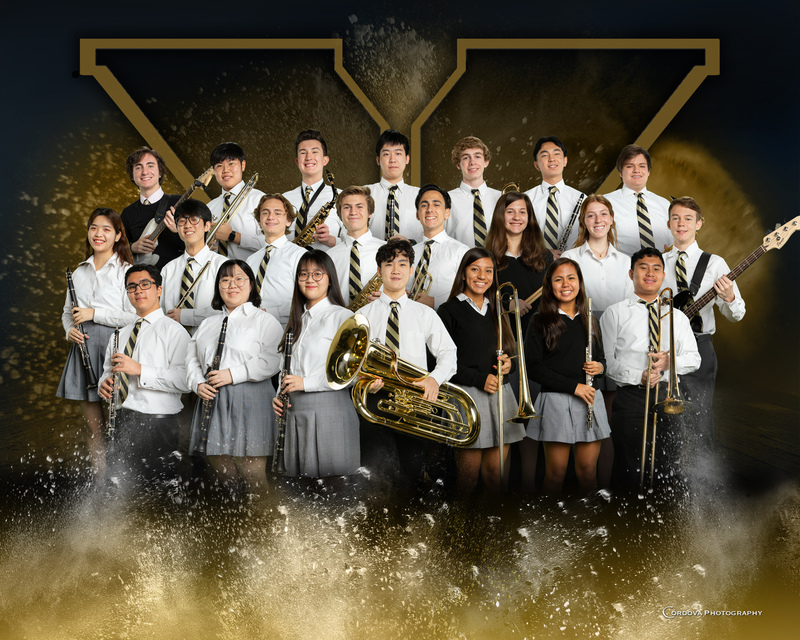 There is no experience required to join any of them, our Music Director invests many hours in ensuring students know how to play an instrument by the end of the program. Drumline is a music club where students play drums and marching drums as an ensemble. Members learn the techniques of percussion instruments, drumming rudiments, and marching basics. Drumline supports school functions such as rallies and sporting events, and also as one of the featured groups during football halftime shows. 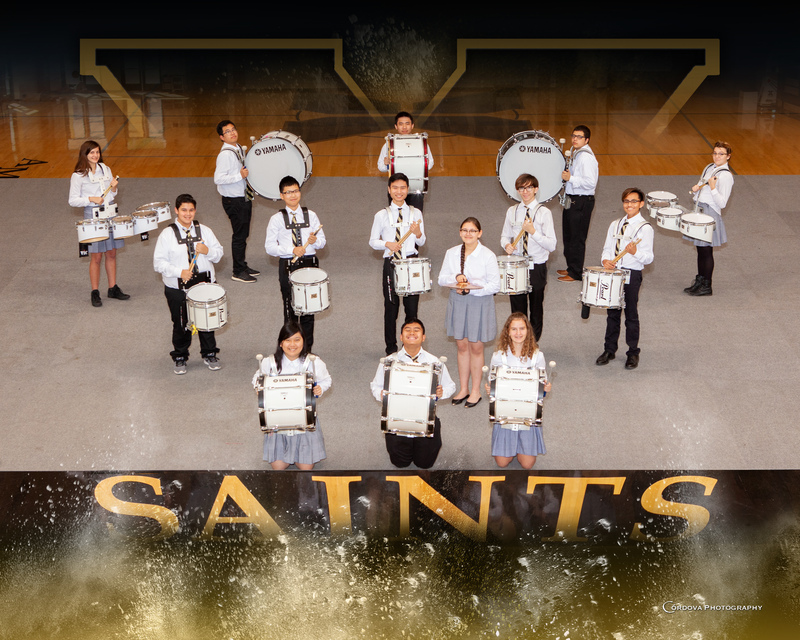 In addition, Drumline occasionally performs in parades and is looking for opportunities to travel and gain experience in competitions and workshops. No playing experience necessary only commitment to practices, which are typically two days a week. Students involved in other music classes may also receive participation credit for their involvement in Drumline. Jazz Band is a music club where students play wind rhythm instruments as an ensemble. Members play selections from 1920’s jazz to modern music. There are several concerts during the year, including: Rock the House, Stardust, Camfest, Brigade Blast, Christmas and Spring Concerts. In addition, students will perform occasionally at rallies and other school functions, as well as Forum Festival and other possible trips. Students often take Instrumental Techniques as a pre-requisite and co-requisite but the course can be taken by itself for elective credit with teacher approval. No playing experience necessary only commitment to practices, which are typically three days a week. The course is also A-G approved and available for elective credit. Orchestra is a music ensemble where students play orchestral string and wind instruments. Members play selections from classical to modern music. 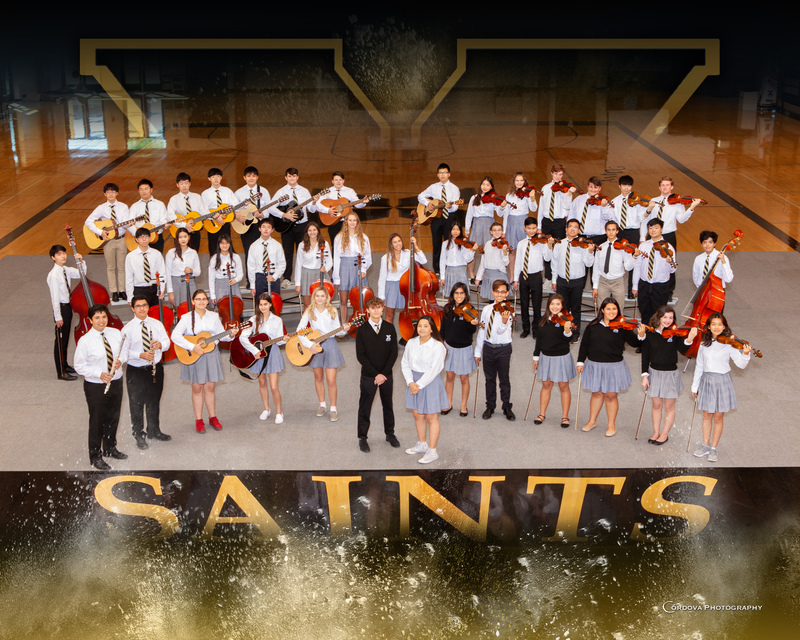 There are several concerts during the year, including: Posada, Christmas and Spring Concerts. In addition, students will perform occasionally at masses and other school functions, as well as Forum Festival and other possible trips. Students often take Instrumental Techniques as a pre-requisite and co-requisite but the course can be taken by itself for elective credit with a teacher approval. No playing experience necessary only commitment to practices, which are typically two days a week. Advanced students may also be encouraged to participate in Chamber Orchestra. Pep Band is a music club where students play wind rhythm instruments as an ensemble. Members play selections and arrangements modern music. There are several concerts during the year, including Christmas and Spring Concerts. In addition, students will perform occasionally at rallies and other school functions, as well as Forum Festival and other possible trips. Students often take Instrumental Techniques as a pre-requisite and co-requisite but the course can be taken by itself for elective credit with teacher approval. No playing experience necessary only commitment to practices, which is typically one day a week outside of the normal school day. The course, via Instrumental Techniques, is also A-G approved and available for elective credit.